We've got cheats that will give you infinite rupees, bombs, and arrows. We also have the Sacred Grove statue puzzle solution. Easy Heart Piece from archery challenge , Kakariko Village. Hints and tips include getting the Master sword, fixing the broken eldin bridge and the 7 hidden Skill locations. We have 460 questions and 948 answers for The Legend of Zelda: Twilight Princess. Check them out to find answers or ask your own to get the exact game help you need. Where do I get the wooden shield? How and where do you enter the cheatcodes for twilight princess? 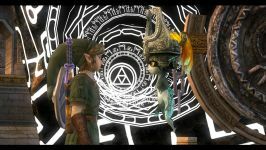 We have 36 Walkthroughs for The Legend of Zelda: Twilight Princess. Our walkthroughs include a boss, letter, bestiary and Golden Bug guides. There's also a Cave of Ordeals walkthrough for you to check out. No discussions open for The Legend of Zelda: Twilight Princess at the moment. The Legend of Zelda: Twilight Princess, Nintendo's latest installment in the ever-popular The Lege..
Legend of zelda twilight princess really does push the gamecube to it's abolute limits with stunni.. This is my review for this game, I tell you it was a long wait for this game but it was worth it c.. This game will always or be the best game in history unless another zelda game pops up! Story!:.. I got this game early so I have to say this game is awsome. I don't have cheat's yet but this ..
Where is the last cat in the hidden ..